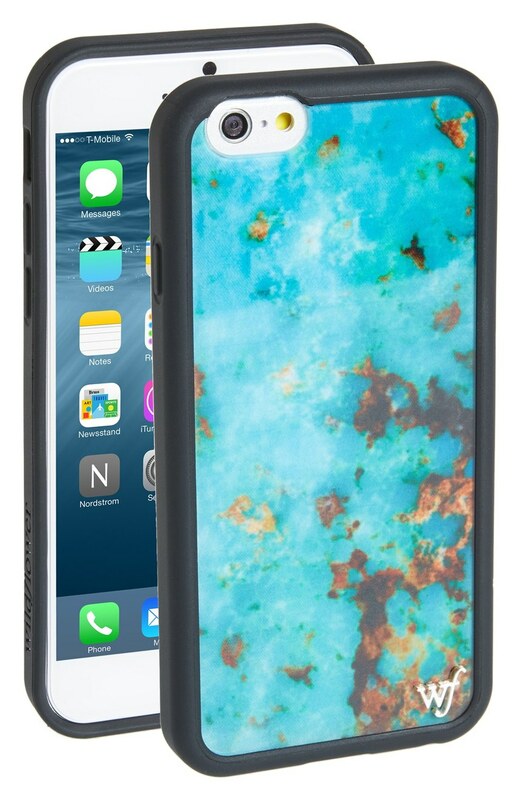 This Lightweight Sonix Wave iPhone 6/7 Case showcases the slim profile of your device. 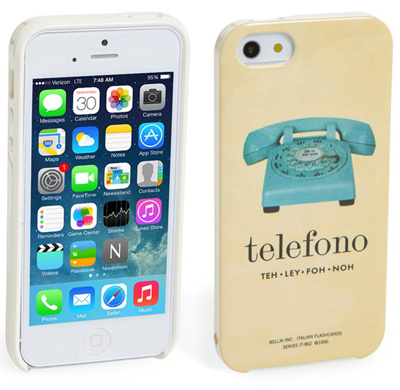 Features polycarbonate backing with gold foil design. The impact-resistant rubber bumper and raised rubber edges protect against drop-induced damage and scratches. Case fits iPhone 6/6S and iPhone 7. $36. Buy here. 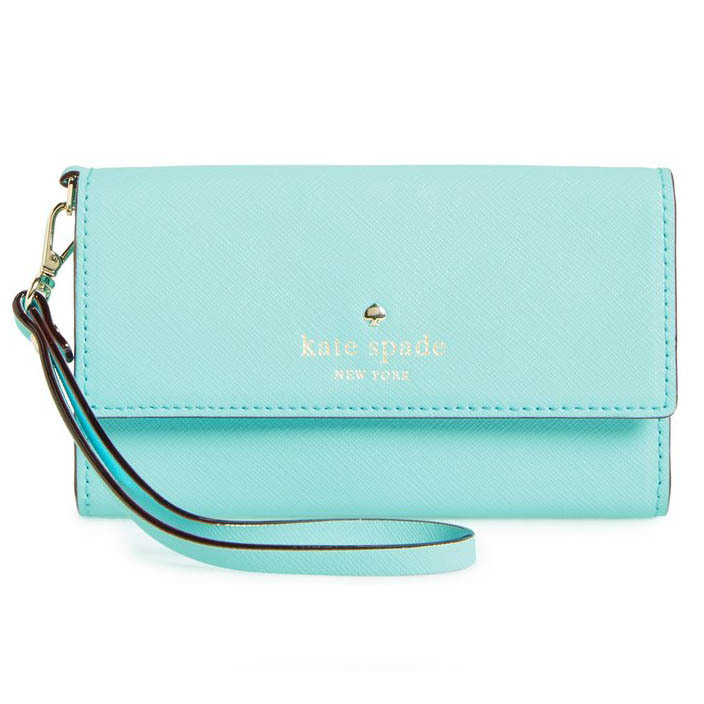 Whether you’re running errands or on your commute to work, this versatile Teal iPhone 6/6s Wallet Case formed from woven faux leather is sure to keep you organized. Smart interior card slots add another level of utility to this perfect on-the-go accessory. $48. Free shipping. Buy here. 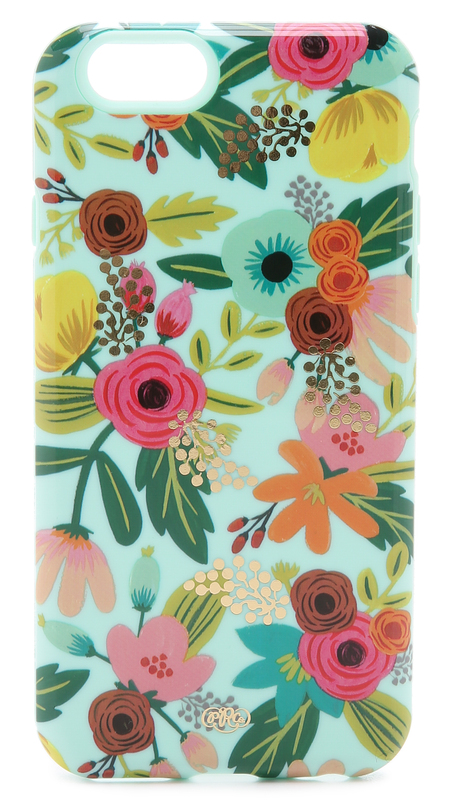 Inspired by vintage botanical images, this beautiful Rifle Paper Co. Mint Floral iPhone Case features metallic accents. Formfitting construction with button, cord, and camera access. $36. Free worldwide express delivery. Buy here. 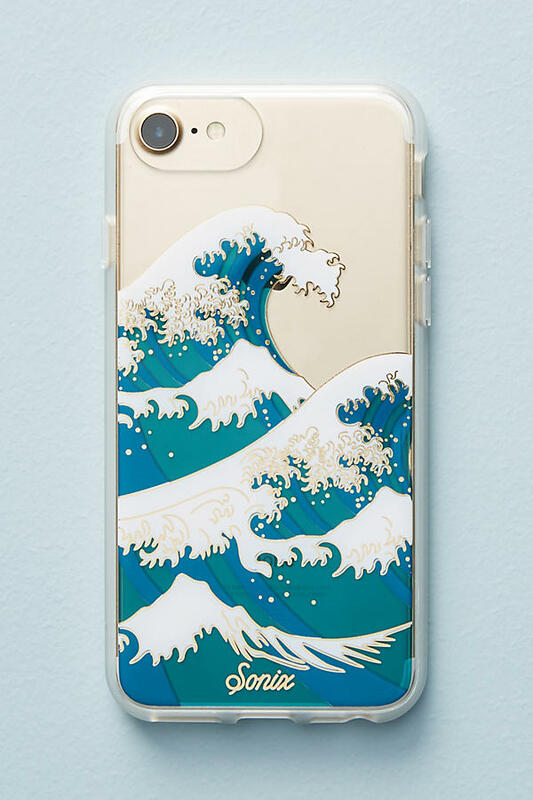 This Scalloped Seas iPhone 6 Case by Munich-based artist and designer Monika Strigel will give your phone unique sea-inspired personality. $38. Buy here. 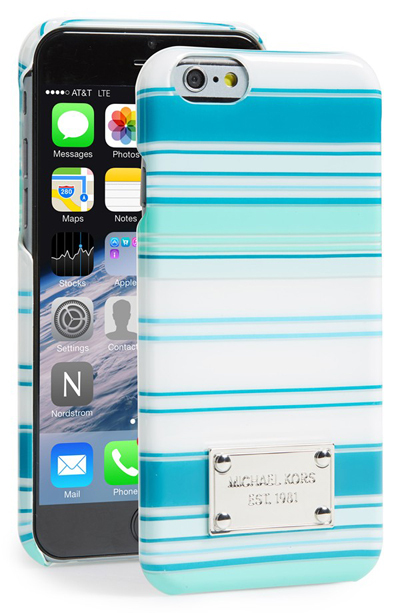 Mixed-scale tonal stripes and a polished logo plate detail this hard-shellÂ Michael Kors Tonal Stripe Turquoise iPhone 6 Case designed to protect your favorite tech accessory from scuffs and scratches. $40. Free shipping. Buy here. 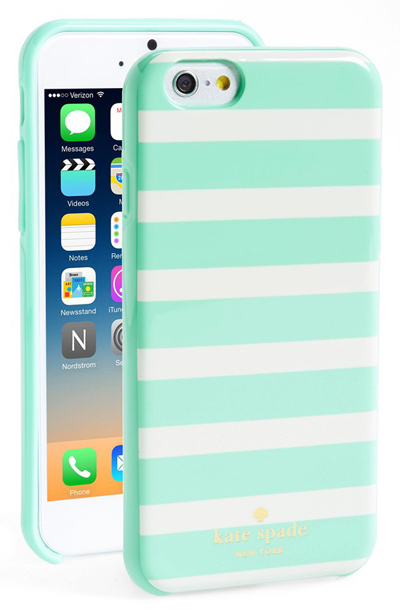 Graphic stripes add playful sophistication to this hard-shellÂ Kate Spade Fairmont Square iPhone 6 Case designed to keep your tech scuff- and scratch-free. $40. Free shipping. Buy here. 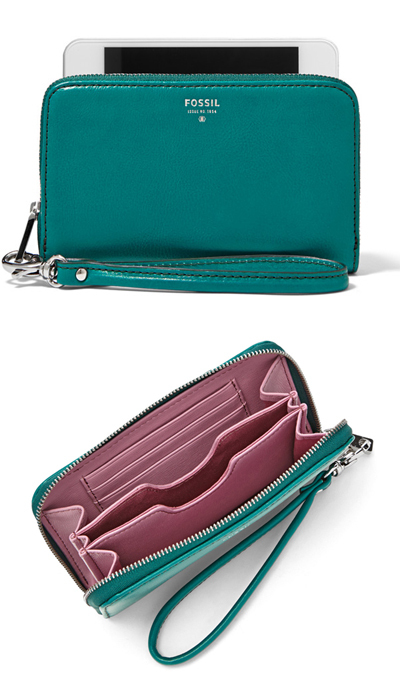 This chicÂ Sydney Zip Phone Wallet from Fossil stows your phone and a combination of cards and cash. $55. Free shipping. Buy here. 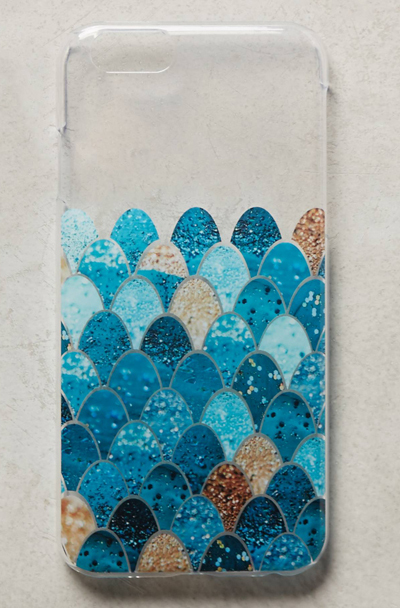 This Mermaid Mica iPhone 5 Case gives your phone a whole new look. By Bling Bling Hello. $48. Buy here. 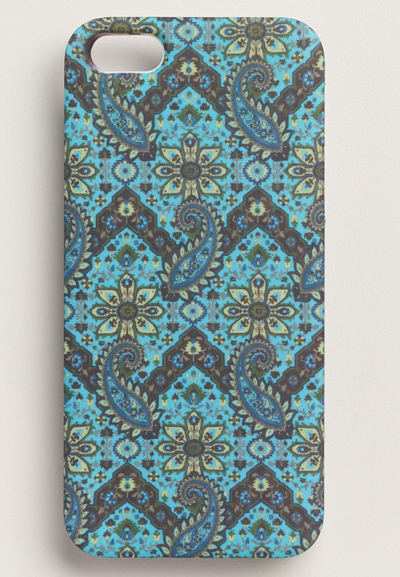 Nothing dresses up and protects a smart phone like this whimsical Blue Phoebe Paisley iPhone Case. The hard case features a matte finish on the exterior. Compatible with iPhone 5. $9.99. Buy here. 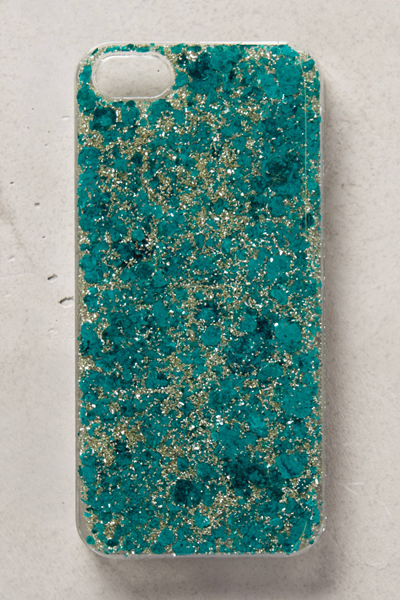 Dress up your most valuable electronics in this bright turquoise Texture iPhone 5 Case from Fossil. Compatible with the iPhone 5 and 5s. $35. Buy here. 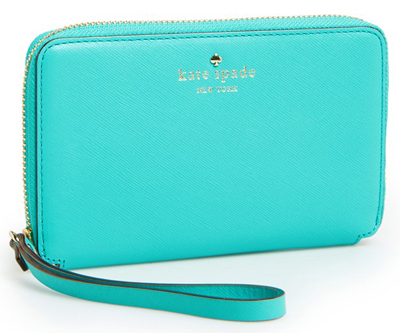 TheÂ Kate Spade Cherry Lane Laurie Wallet features interior cell-phone and slip pockets, and seven card slots. Crosshatched leather structures an elegant uptown phone wallet detailed with polished goldtone hardware. $148. Free shipping. Buy here. Stay travel savvy and ready to tour Europe with the rigid Kate Spade Italian Flashcards iPhone Case that flaunts a retro flashcard print for total telephone charm.Â Fits iPhone 5 and 5s. $40. Free shipping. Buy here. 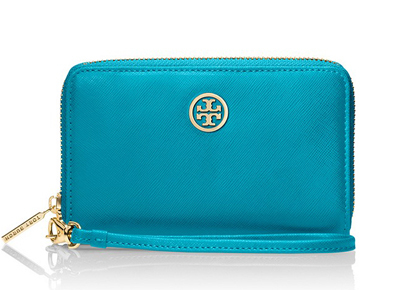 The epitome of understated chic, theÂ Tory Burch Robinson Smart Phone Wristlet pulls double-duty as a wallet with a compartment for your iPhone. Made of the highest-quality scratch-resistant Italian leather, it has a zip closure and a wrist strap â€” a must for multitaskers. $155 Sale $108.50. Buy here. 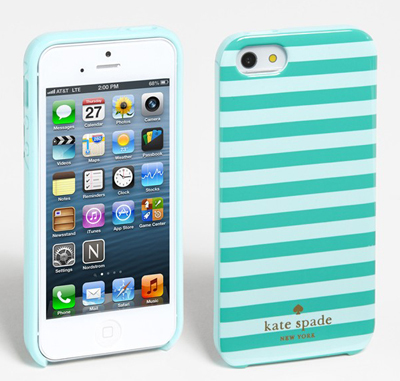 Snappy stripes front this glossy resinÂ Kate Spade Petula Stripe iPhone Case designed to protect your iPhone from scuffs and scratches. 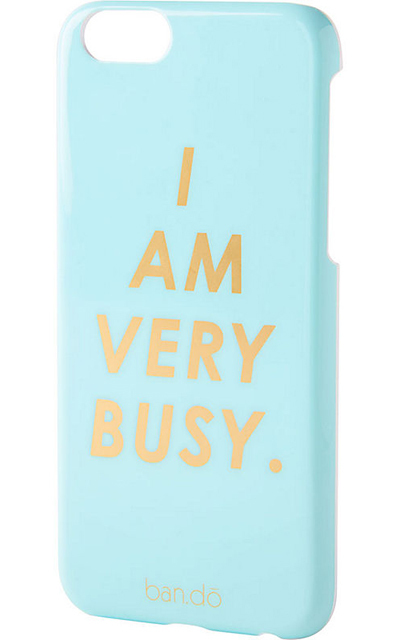 Fits iPhone 5. Made of resin. $40. Free shipping. Buy here.